In the past couple of weeks we have added several new features that enhance the power of Microsoft Flow. Microsoft Flow has always had a highly detailed history view, where you can click on a single flow run and see exactly which steps have succeeded or failed. However, if you have a large number of flow runs, it can be difficult to find a specific failure. Now, you can Download a CSV of your flow run history and use Excel (or any other tool) to search across all of your flow runs, see exactly when they happened, and even the inputs and outputs of most steps. To download your flow history, simply select See all under Run History and then select Download CSV. You may want to choose a filter before you download it – for example, by looking only at Failed runs. Please note that it can take a few minutes to retrieve the CSV as it can contain a large amount of data. Once it is ready, select Click to download. Now you have a file you can open in Excel! There are two important limitations to be aware of. First, this feature will only download the first 100 runs returned by your filter. Second, there is a limit on the size of content that is included in each cell of the CSV. For example, if you download 10 MB file, you don't want that file's contents in a single cell in a CSV. Instead, the CSV includes a hyperlink to the file, so it is just one click away. You can now build more advanced recurring schedules with the Recurrence trigger. For example, you can now build a schedule that will run a flow at 9 AM only on weekdays, or, a flow at 10 AM and 3 PM every day. To use this feature, be sure to select a recurrence interval of either Weekly or Daily. 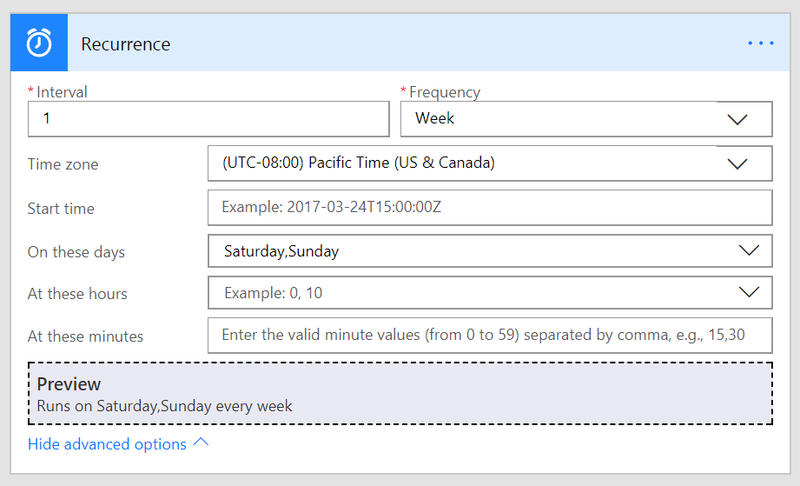 By using a weekly recurrence, you can chose which days of the week the flow runs on, or, even what hours of the day it runs at. Read more about scheduling flows here. As you enter each parameter, the next one will be shown. You can also see how, as you type an expression, the color of the text highlights so you can see the input types. There is a new connector – HTTP with Azure AD – that enables you to get data from authenticated endpoints, with user-based Azure AD or Windows authentication. Previously, you could use Service Principal authentication for HTTP actions, but this did not support user-based auth. Now, you can create a connection that will enable any user to connect to an HTTP endpoint. 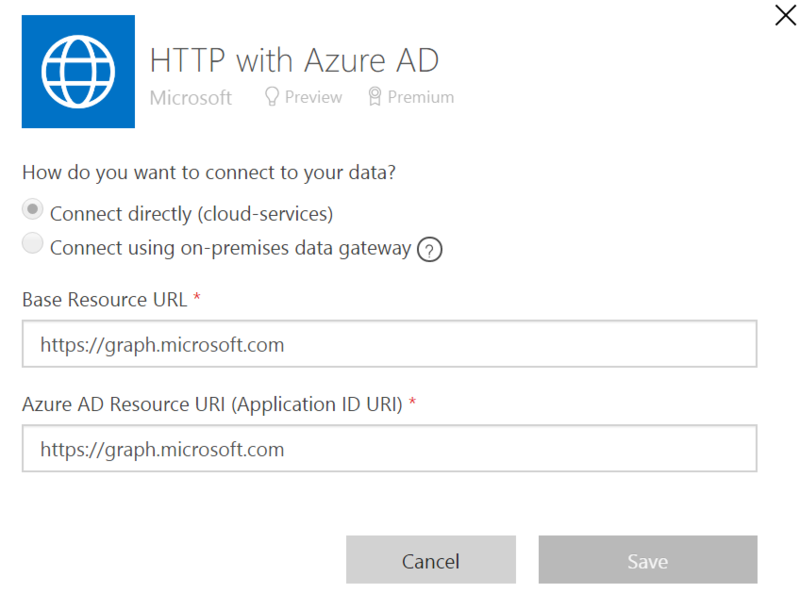 To set up the connection, you will need to provide a base URL and an Azure AD resource URL. 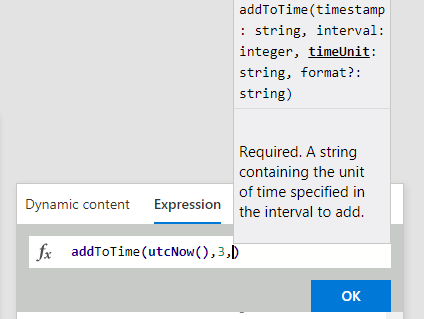 For example, if you want to connect to Microsoft Graph, use https://graph.microsoft.com for both of these inputs. Then, you can make any HTTP GET on the Graph API that you want. If you enter /beta/me, you can retrieve your user details. Like the normal HTTP action, if you want to use certain properties from the response then you'll need to use a JSON Parse action. This connector also works with on-premises Windows Authenticated endpoints. To set that, up select Connect using on-premises data gateway and enter your Windows credentials. FlowForma – FlowForma Business Process Management (BPM) tools for Office 365, enable users to build forms & workflow, automating processes without code. Amazon Redshift – a fast, fully managed, petabyte-scale data warehouse service from Amazon. Connect to Amazon Redshift database to read data from tables. Note that at this time, this connector is read-only. 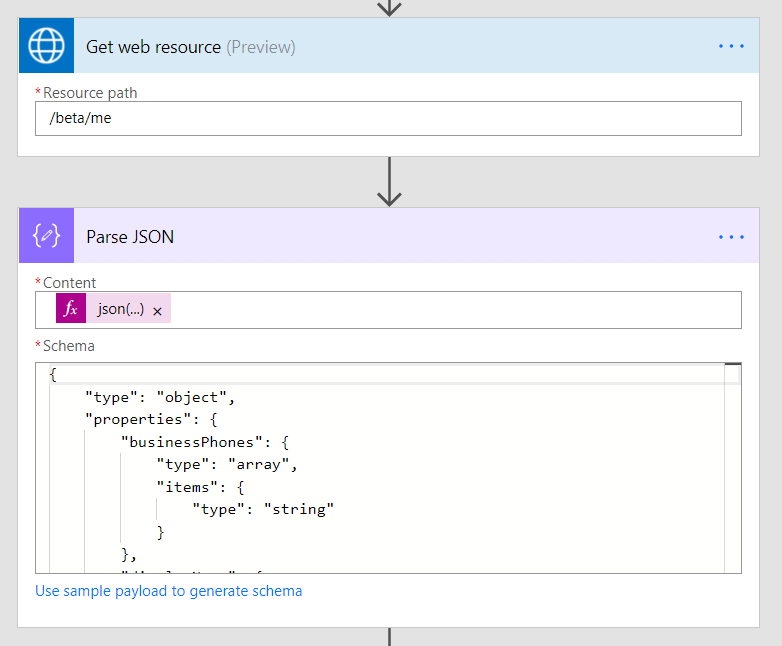 Azure Event Grid Publish – Azure Event Grid Publish will publish data to any Azure Event Grid Custom Topic. 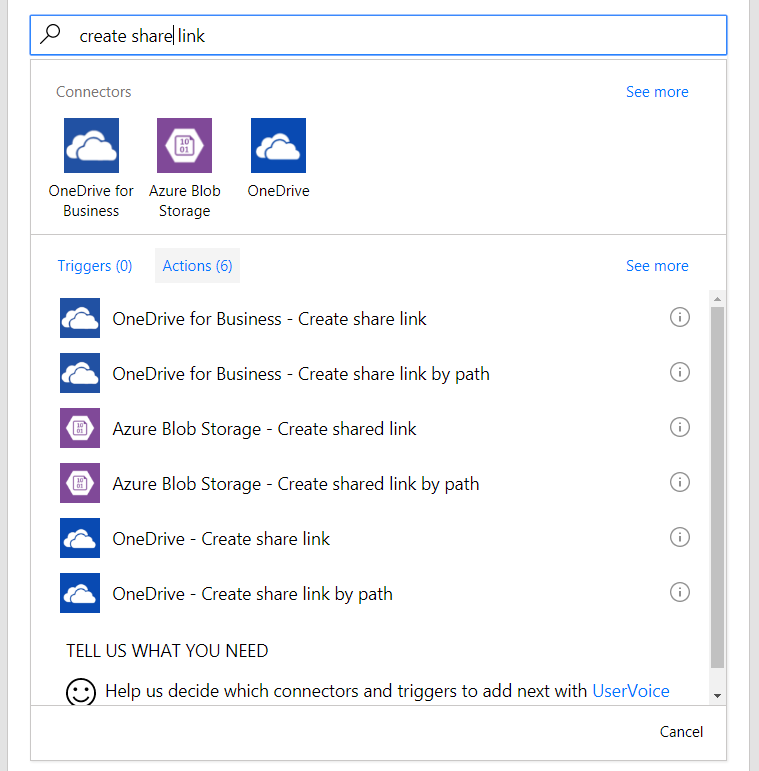 Finally, we have added new actions to the OneDrive, OneDrive for Business and Azure Blob Storage connectors that allow you to create "sharing" links for your files — links that grant the person with the link access to the file so that they can view it. You can define the permissions for these links. For example, is it a Edit link or Read-only link, and who can use the link. Let us know on the community if you find this useful and what other features you'd like to see added to our existing connectors.